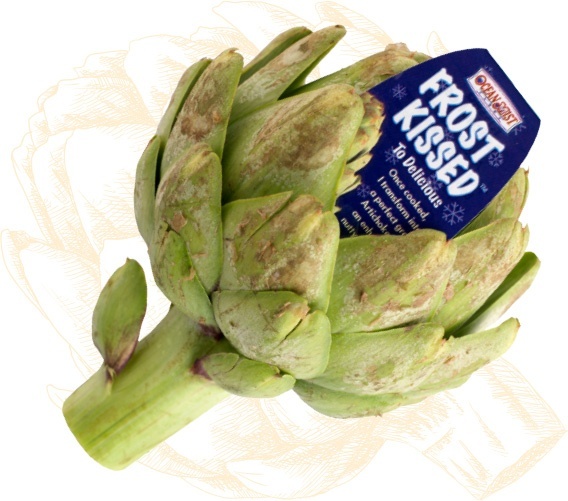 Rare Frost Kissed® artichokes picked with intense, nutty flavor. California winter frosts can yield "Frost Kissed" artichokes that are available in stores for a limited time. Frost causes the outer layer of the artichoke to turn brown, flake and peel, much like we do after getting sunburned. Although the brownish color may not look pretty, "Frost Kissed" artichokes taste delicious and actually have a more intense flavor than green, "Frost Free" artichokes. 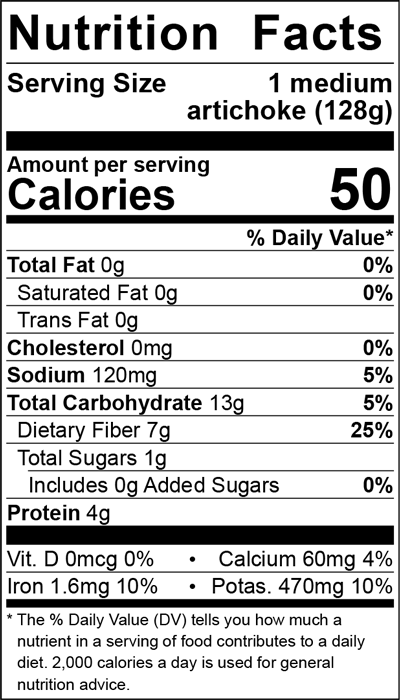 Frost conditions enhance the flavor of the artichoke causing a nutty taste. Once cooked, the peeling disappears and leaves a delicious, green artichoke. Artichokes are "Frost Kissed" when the temperature drops below 32 degrees. Following a freeze, artichoke plants take two to three weeks to start producing "Frost Free" artichokes again. Make sure to look for this unique, seasonal item as it is only available for a short period of time.